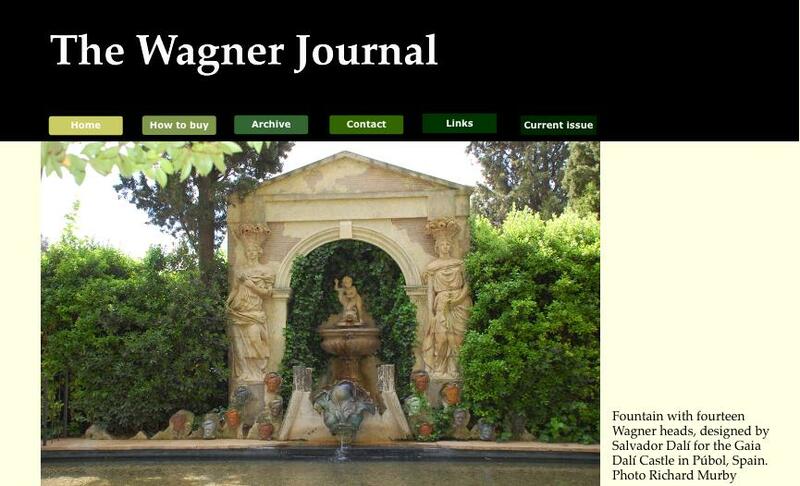 Online debate on Wagner and Anti-semitism. Two regular contributors to The Wagner Journal – Barry Emslie and Mark Berry – debate the thorny question of anti-semitism in relation to Wagner's music dramas. Follow the debate here. A dramaturgical analysis of the 2010 Bayreuth Lohengrin by Edward A. Bortnichak and Paula M. Bortnichak. Click here. A dramaturgical analysis of the 2011 Bayreuth Tannhäuser by Edward A. Bortnichak and Paula M. Bortnichak. Click here. Jan Philipp Gloger’s Flying Dutchman at Bayreuth: A Study of the Posthuman Frankenstein Monster by Paula M.Bortnichak and Edward A. Bortnichak. Click here. To obtain a PDF of an article or review, please refer to the relevant list of contents by following one of the above hyperlinks. Make a note of the code of the article/review required and then go to the How to buy page and follow the instructions under Individual articles and reviews. Complete issues previously published may also be purchased (but please note that 7/1 and 8/1 are available in electronic form only). Go to the How to buy page and follow the instructions under Current issue/Back issue.